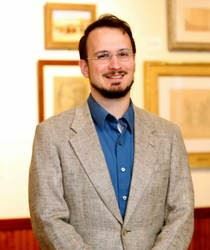 Nathan Jones is the Curator at the Bryan Museum in Galveston. A native Texan, he grew up in Spring attending Klein High School. His academic training focused on Material Culture and Museum Studies, and he received his M.A. in Public History from Texas State University in 2015. He has worked and spoken at institutions across the nation, including: Colonial Williamsburg, The Henry Ford, and The Museum of Fine Arts Houston, Bayou Bend. In his first year at The Bryan, he has overseen the development of the museum’s educational programming, a speaker series, and four special exhibits including the most recent: Eyes of Texas: A Century of Artistic Visions, on display now. He views these efforts as part of his vocation and chooses to focus on exploring the intersections between art and history. At the center of his work is a simple goal, sharing the past to inspire the present.